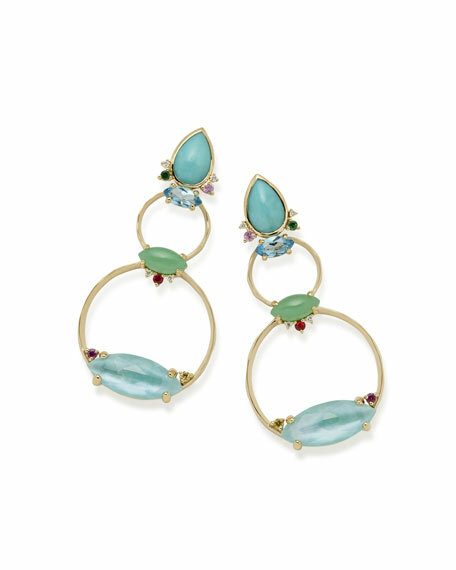 Ippolita tiered snowman drop earrings from the Prisma Collection. Polished 18-karat gold hardware with prong and bezel settings. Three tiered drops with mixed stones and multi-size circles. Turquoise, topaz, chrysoprase, quartz, amazonite, tsavorite, sapphire and diamond.